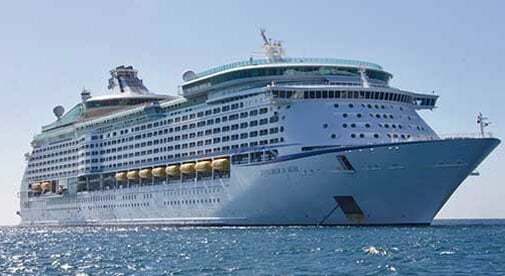 Cruising is a great way to vacation, relax, and be pampered, all while enjoying a huge floating hotel, but not only that, compared to conventional travel, cruising also allows you to visit several places in a short period of time. My husband, Michael, and I recently took a 15-day cruise through the Caribbean. You may be wondering why anyone would ever want, or need, a vacation when you already live in a paradise. Yes, Costa Rica is our little piece of heaven, and we love it. But, that doesn’t mean there aren’t other places worth visiting. Then it hit me. What a great way for someone who is interested in a particular region of the world—say, the Caribbean—to quickly and easily be able to have back-to-back comparisons between destinations. So now, you’ve got all this virtual knowledge about Panamá, Costa Rica, Belize, Mexico, Colombia, etc. The next step is a boots-on-the-ground visit to see for yourself. But let’s face it, for most of us, flying to visit multiple countries can get expensive. A cruise negates all that need for air travel. Once I had this epiphany, I tried to see each place through the eyes of someone who was searching for their ideal piece of overseas bliss, all while enjoying my vacation. Over the course of two weeks, we visited multiple countries. I’ll be the first to say that spending a single day in each place certainly isn’t like living there. But it does give you feel for the climate, the people, the vibe, the cuisine, and the culture. To be able to immediately compare it to multiple others is not only invaluable—it’s very enjoyable, too. We flew to the Dominican Republic to start our adventure. 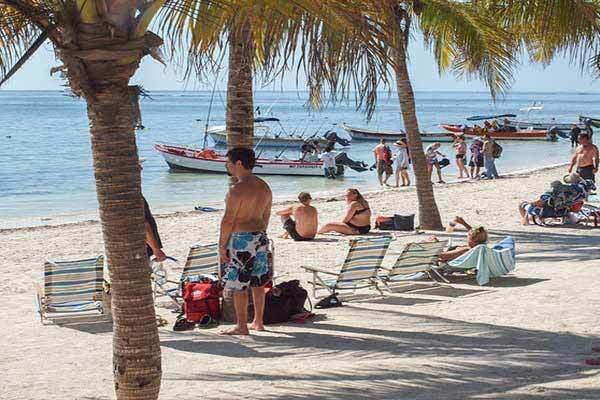 Previously, the DR had not been on our radar when we were looking for a new place to call home, but I was intrigued to see how many expats had. Of course, there was sunshine and beaches, but there was also a real multicultural vibe. At one local restaurant, the patrons at the next table were originally from New York, California, Turkey, Germany, and Italy. 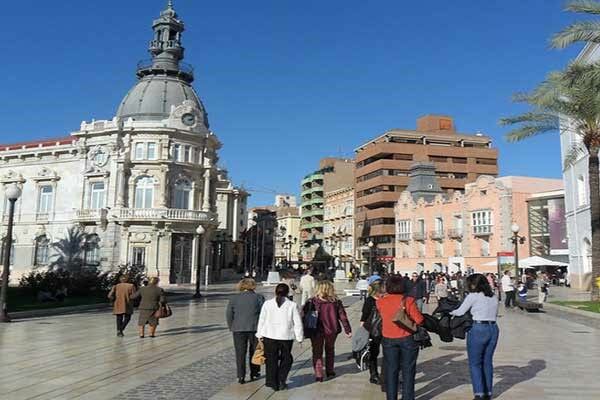 While we were there, we spent several hours walking around the “old town.” This area has a colonial feel and is home to an outdoor pedestrian shopping area. Full of local artists, crafts, and restaurants, we had plenty to enjoy at our own pace. Next, we spent a couple of days in Jamaica. Arriving there was just a short overnight trip, but what a completely different energy. Even the blue ocean water seemed different. 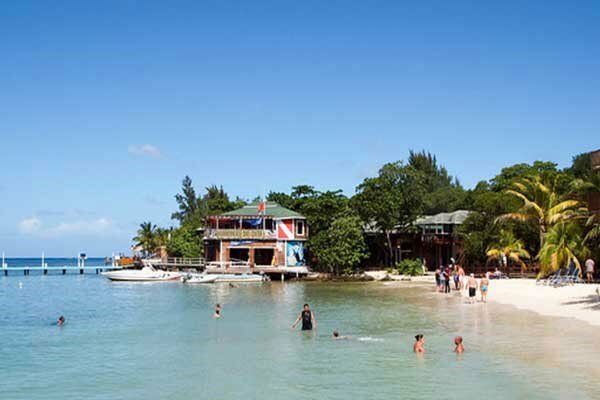 Jamaica is known around the world for its vitality and vibrancy. It was all around—in the food, in the music, in the dress, and even in the speech. 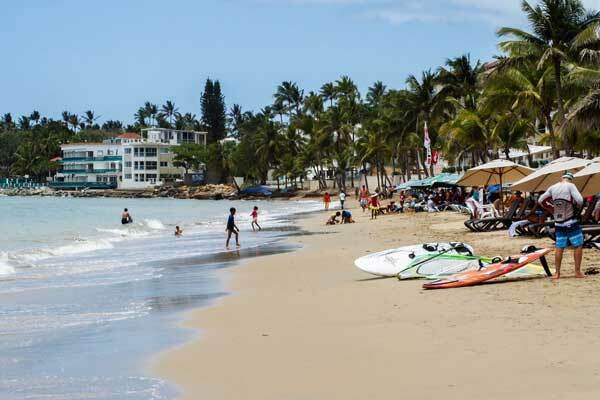 The distinct difference from the DR was even more obvious when we were able to go to sleep with the Dominican Republic fresh in mind our minds and wake up to come face-to-face with Jamaica the next morning. 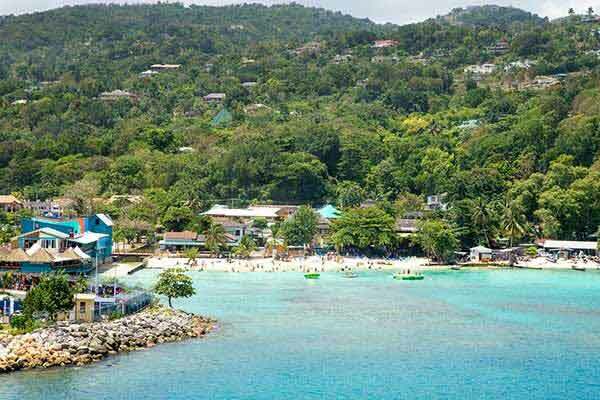 Our first day was spent in Ocho Rios. This former fishing village turned tourist center was our base for visits to explore cave systems used by the pirates of old. It was also conveniently located for our day at Dunn’s River Falls—a nature park with a 600-foot mountain cascade at its center. We had an at-sea day while we cruised on to Mexico. It was relaxing, and allowed me time to compare and contrast my experiences in the first two ports of call. That was a good thing, because stepping off the ship in the Yucatan led to an indisputable new feel. The presence of the Maya and Aztec histories were palpable and influenced everything. How could there be such pronounced differences only hours apart? Because we’ve been to the Yucatan numerous times, we didn’t book any excursions (like the trip to the famous pyramids of Chichen Itza.) But that doesn’t mean we didn’t have a great time. Strolling along the beach and the myriad shops and restaurants opposite it, we found a delightfully refreshing outdoor dining experience with a live marimba band. The shade, the energy, the music, and the margaritas made for sweet memories. 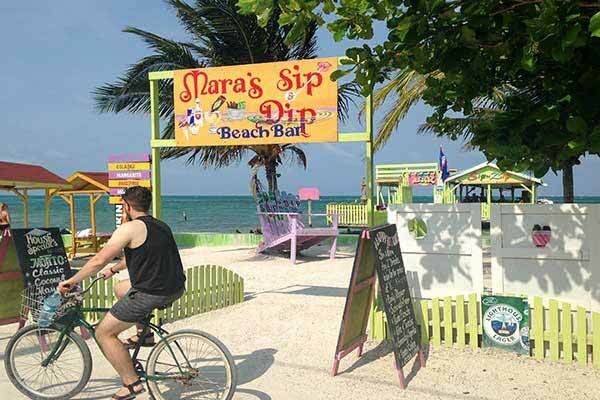 Our next stop was Belize. The very first things to strike me were the crystal-clear sea and that English was spoken everywhere. Though I had no problem communicating in Spanish in the other countries we visited (and loads of people in those places also spoke English) it was clear that the years of British influence had marked this place—language is at the center of a culture. We snorkeled in the famed waters, walked along the white-sand beaches of Caye Caulker, and ate grilled lobster freshly caught before our eyes. If language is at the center of a culture, then food is at its heart. I “heart” the cookery of all these places we visited. And if you’ll forgive the pun, nothing gives me a better taste for a place than eating native foods with the locals. Next stop: Roatán. This island-annex of Honduras is as distinct from Belize (as well as the previous two islands) as Martha Stewart is from Martha’s Vineyard. We spent a good deal of time on Big French Key. There are no words to describe the water there. I have literally been sitting here for 20 minutes trying to come up with adjectives that adequately describe it—Turquoise. Idyllic. Crystal. Translucent—I gave up. You just have to see it to believe it. We kayaked in the indescribable waters and afterwards we had drinks at little swim up “huts.” A fun surprise was the friendly parrot that climbed on my shoulder and hung out with us while we ate. From there we came to not just Costa Rica, but Caribbean Costa Rica. The bohemian vibe on this side of the country is absolutely unlike the rest of the nation, but that’s one out of the plethora of reasons we chose to live here. Everyone had been extremely hospitable in all of our stops (and maybe I’m biased, but the welcoming nature of the ticos always makes me smile inside and out). Because we live in Costa Rica, rather than choose land excursions to places we’d already been, we took advantage of the empty ship to a day of massages and other general pampering’s—all at reduced prices over days at sea. On to Panamá. 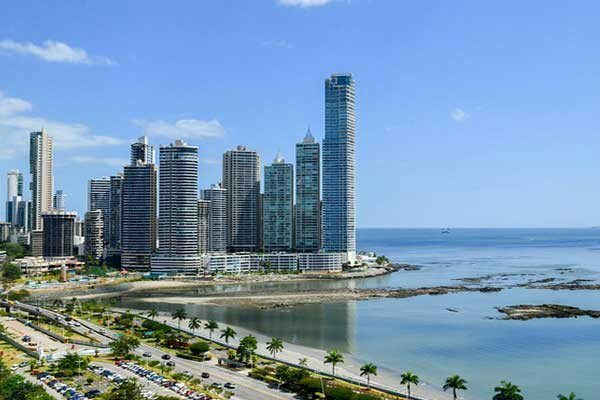 Without question, Panama City is the most cosmopolitan city in all of Central America. But don’t let that cause you to believe that the Panamanian heritage isn’t alive and well. 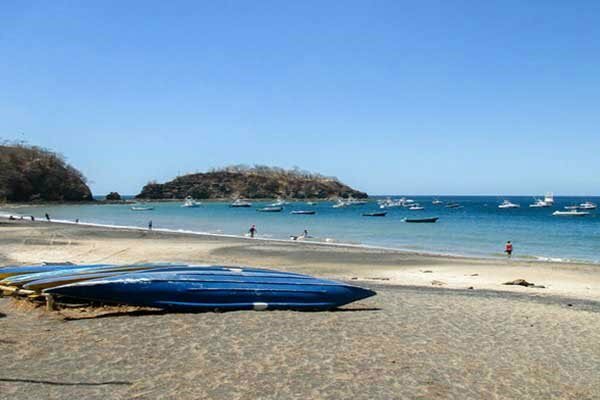 It surrounds you as easily as the Pura Vida of Costa Rica does. This narrow piece of real estate that forms the tail of the land bridge that joins South America to its Northern Sister bespeaks its very own customs and traditions in a loud and clear voice. A trip to the famed Panama Canal was one of the most popular opportunities available while we were there. We were able to spend quite a bit of time shopping for fun things at great prices. Our voyage rounded out with a stop in Cartagena, Colombia. Here we saw the most obvious Spanish colonial influence. And boy did we eat that up—both literally and figuratively. This was my favorite port of call. We spent all day long amid the locals, admiring the architecture, savoring enough coffee to make Juan Valdez proud, availing of cool photo ops, sampling Colombian cuisine at no less than four different spots, and enjoying street entertainers in several of the parks which were beautifully canopied by ancient trees. So after you’ve done all your internet research, after you’ve been to a comprehensive International Living conference, when you’re ready to reach out and touch the countries, let me suggest a cruise. I experienced eight wonderful places in 15 days. While each one was still fresh on my mind, it was easy to make the requisite compare and contrast, pro and con lists of each place. Plus, I only had to pack once. I’m not suggesting a quick visit is all you need to make a final decision, but for a rule-in/rule-out, see it, touch it, feel it experience, you can’t do better than a glorious cruise adventure. In fact, I wish we’d thought of this when we were making our decisions years ago.